Caledonia Skytower, Kayden OConnell and Corwyn Allen continue with a Seanchai favourite: Tea-time at Baker Street. This time they are going right back to the roots of the legend, and the case which first introduced the world to Doctor John Watson and the renowned Consulting Detective, Mr. Sherlock Holmes. 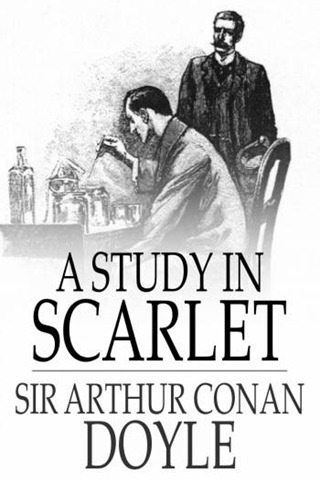 A Study in Scarlet was written in 1886 as a full-length novel by Sir Arthur Conan Doyle and published the following year. It is actually one of only four novel-length stories Conan Doyle penned about Holmes and Watson in the original canon (the remaining 56 tales of their adventures are all short stories). As it was the first time the two had appeared in print, part of the story was used to establish each of them, and how they met. It is 1887, and Doctor John Watson, invalided out of the British Army after being wounded in the Battle of Maiwand during the Second Anglo-Afghan War (1878-1880), has returned to London where he is seeking accommodation. After bumping into an old friend, Watson finds himself being taken to St. Bart’s Hospital, where he is introduced to a stranger carrying out a laboratory experiment. On shaking Watson’s hand, Sherlock Holmes immediately perceives that he has recently returned from Afghanistan, and thus Watson first experiences Holmes’ remarkable deductive abilities – although quite how Holmes came to his conclusion remains a mystery. After a short conversation, he agrees to join Holmes in moving into a flat (apartment) at 221B Baker Street, where they’ll split the rent. In the story, it is actually several weeks before Watson learns of Holmes’ rather unusual chosen profession. When told, he remains initially dubious until Holmes gives a practical demonstration of his powers of observation and deduction, using a messenger from Scotland Yard as his subject. The messenger has come with a request for Holmes’ assistance; Holmes is at first reluctant to heed the call, but Watson urges him otherwise. So it is that they set out on their first adventure together, one involving poison, a double murder in London and a bitter tale of love, loss and revenge from America. Join Seanchai for a special 90-minute reading of the final instalment of A Study In Scarlet. 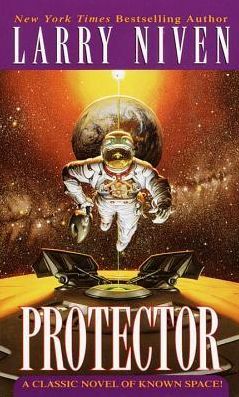 Join Gyro Muggins as he reads Larry Niven’s engaging tale of humanity’s past – and future. Join Kayden OConnell as he reads more from Craig Johnson’s tales of Sheriff Walt Longmire. Wednesday, July 4th: No Session. It’s Independence Day in the United States and Seanchai will be at home celebrating with friends and family. 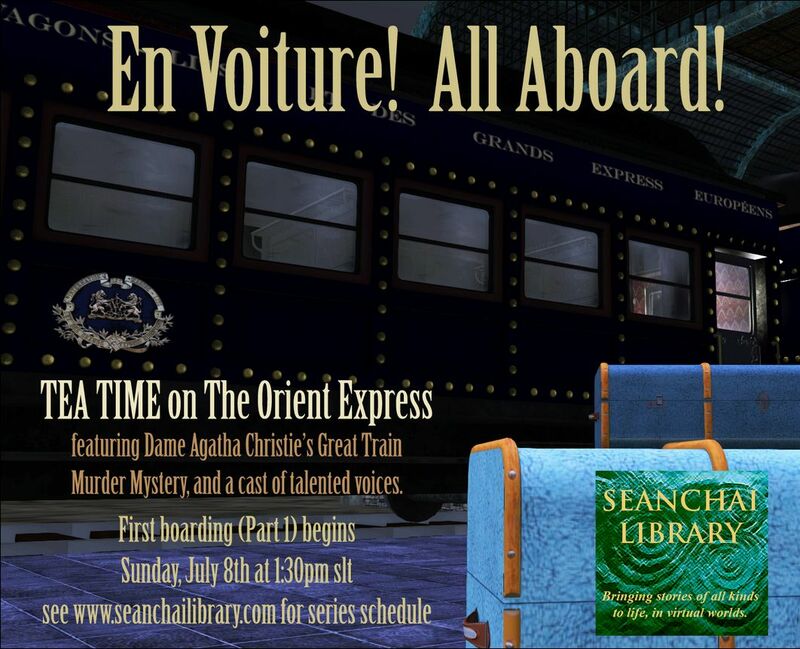 Seanchai Library and friends embark on a literary journey through one of Agatha Christie’s most notable adventures: Murder on the Orient Express. Ride aboard the greatest train journey of them all! A new series in a new Seanchai setting – more on this and the Orient Express next week!